What's the #topviz of 2011? There's been some amazing Tableau Public vizing in 2011. We've pulled together 20 of our favorites. But we want to know which is your favorite? 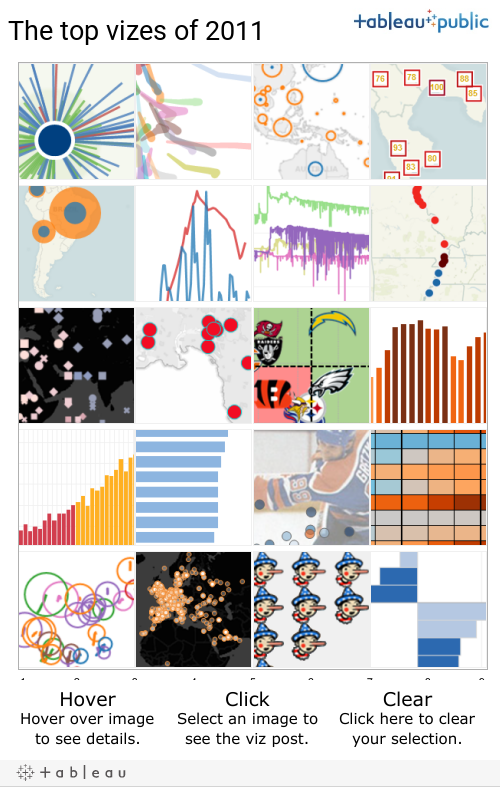 Tweet us @Tableau #topviz with the URL to the viz you love the best. Write-ins are welcome. So are multiple ballots. We’ll publish the results on January 3 and name the Top 5 Vizes of 2011. Thanks for noticing - you guys are the best! Like you said on your title, it's just amazing !! !